Renowned as the most developed and progressive cities of the Indian subcontinent, blessed with a benevolent climate and shopping and dining scene, the city of Bangalore is a godsend for the creature comforts that it has to offer to a weary traveler. This is a great city if you wish to mix with the locals in quirky independent cafes or craft beer joints. Although the city does not house any world class sites, it is certainly home to striking Victorian-era architecture and lovely parks. The central district remains unchanged despite the mad surge of development that hit the city in the previous decade. The city reflects an amazing blend of the new and the old. Some parts of the town with historical monuments have been kept intact. You can also spot high-rise corporate complexes almost kissing the sky. Dotted with stretches of parks, busy markets, newly constructed buildings and famous heritage buildings, the city does offer a bit of everything. The Leela does not fail to impress even the most well-travelled. This sumptuous fairytale castle made in pink sandstone, with oversized windows and marble columns makes its guests appear like miniature creatures. Leela delivers superlatives and luxury in every respect. The new Metro puts one close to the prominent attractions in the city center. This luxe paradise can be reached within an hour from Bengaluru International Airport. The Leela Palace is located in the vicinity of KGA course. The arresting artworks, immaculately polished marble floors and imposing entrance doors makes you feel as you are located miles away from the hustle bustle of the busy city life. This hotel houses a swimming pool and immaculately maintained gardens. The 50-foot pool is surrounded by sunbeds. Pool service is offered to the guests all day. The guests can avail a complimentary morning session at the yoga pavilion by a qualified instructor. The spa has a steam room, sauna, and a whirlpool bath. All guests rooms offer the view of the surroundings. The sleeping area is sumptuous. All rooms come with a separate bath, shower, and a sofa. Daily newspapers, water, complimentary coffee, tea and universal plug sockets at the desk are the additional features included in the guest room. If you opt for a Royal Club Room, you are offered access to a club lounge, private dining, billiard room, champagne room, a personal butler and a private check-in. 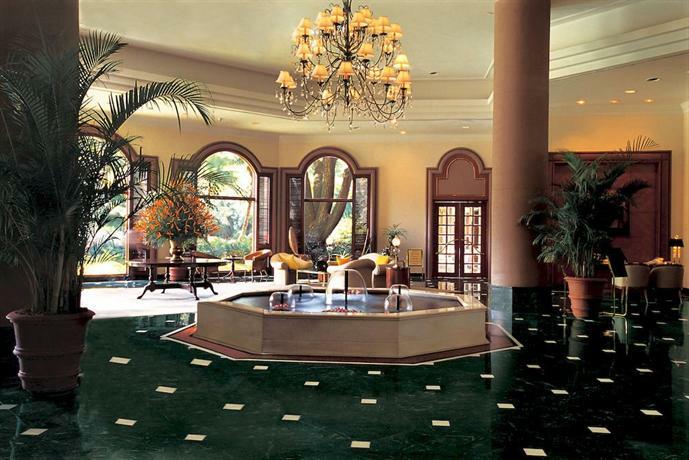 The two bars and four restaurants of the Leela Palace are exemplary. The Library Bar features a large single malt selection and leather sofas. The Jamawar is one of the best Indian restaurants in the city. Zen serves Thai, Chinese and Asian dishes. Do not forget to indulge in mock meat pasty and golden fried prawn puffs served here. Citrus specializes in buffet service and is open all day. Breakfast served here is legendary with live cooking stations. Children are offered a kids pool and half price menus at all the restaurants of this lavish hotel. This is one of the original luxury hotels of the city of Bangalore. This hotel manages to combine modern cutting edge facilities with reliable old world service. All guestrooms come with balconies that overlook the lush gardens. 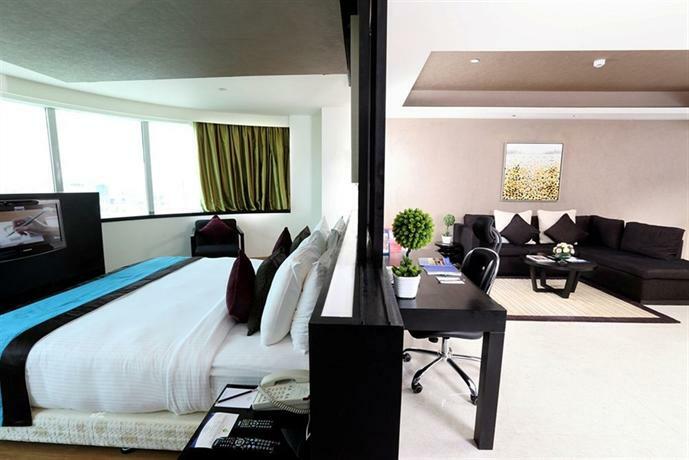 Although the hotel is located on a busy street, the rooms are located towards the rear and manage to cut down the noise. This hotel is located in the heart of the city. The Trinity Circle Mall can be reached in five minutes by walk. This five-star hotel manages to be both modern and traditional and has been designed around a massive 120-year-old raintree. The 24/7 Spa offers tranquil services. The hotel as well houses a salon, air-conditioned fitness center, and a hotel pool set amidst lush gardens with pool service and sunbeds. The guest rooms feature an outdoor space that overlooks the gardens. The temperature, TV, lighting, door, in-room dining menus can be controlled with an interactive iPad. Bathrooms have a separate shower and bath. You will want nothing with Espresso machine, universal sockets and blackout blinds readily available in the guest rooms. This hotel houses four multi-award winning restaurants. Rim Naam deserves a special mention with its man-made cave entry and semi-open wooden restaurant. Try the chef�s gelato-like coconut sorbet and potatoes tossed in spicy sweet and sour sauce. Szechwan Court serves flower tea, clay pot delicacies, and dim sum. 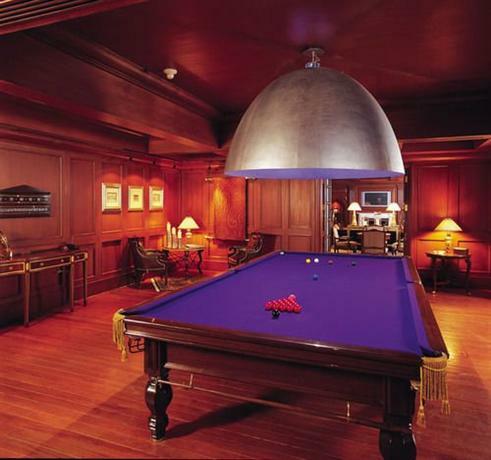 The Polo Court Sports Bar is ideal for an evening cocktail. Le Jardin caters to the guests all day. Vegans will have a great time at the restaurants. 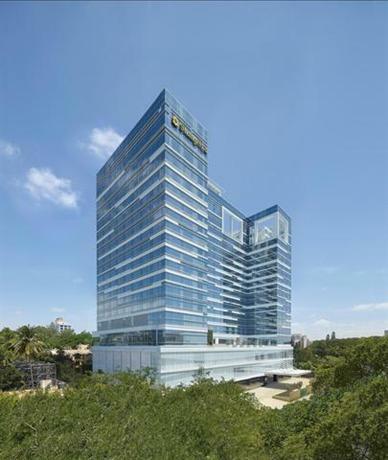 If you want to remain at the epicenter of the commercial business district, then you need to consider My Fortune Bengaluru for your stay in this city. The hotel is surrounded by top international and national establishments. 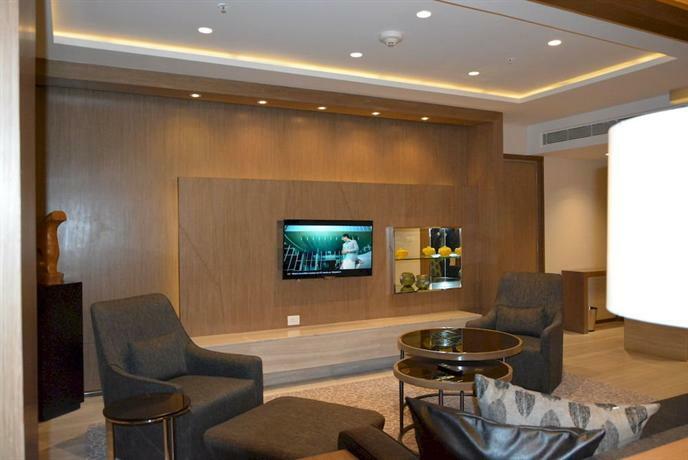 This hotel is well placed and is situated next to Brigade Road and MG Road which are the two most popular commercial, entertainment and shopping zones in Bangalore. The striking facade of this hotel is what catches the eye. This stylish, trendy hotel lets you just be yourself and have things your way. This lavish hotel exudes an ideal ambiance for savvy travelers. The hotel houses 115 well-appointed rooms with all the amenities that a modern day traveler would need. The hotel is located 39km from Kempegowda International Airport. The guest services are welcoming, efficient and spirited for the savvy traveler and reflect the values of modern Indian hospitality. A Butler pampers the guests with personalized attention. The Wellness Centre is an ideal spot for rejuvenation and relaxation. The fully-equipped gymnasium is located on the 2nd floor and comes with a sauna and steam facility. The outdoor swimming pool is an oasis of tranquility and peace. Unmatched culinary experience is offered by My Fortune, Bengaluru. My Indian Oven is a specialty fine dining restaurant. My Cafe is a 24-hour coffee shop that serves snacks as well. The guests can as well relish in continental, Italian and Chinese delicacies at this in-house restaurant. 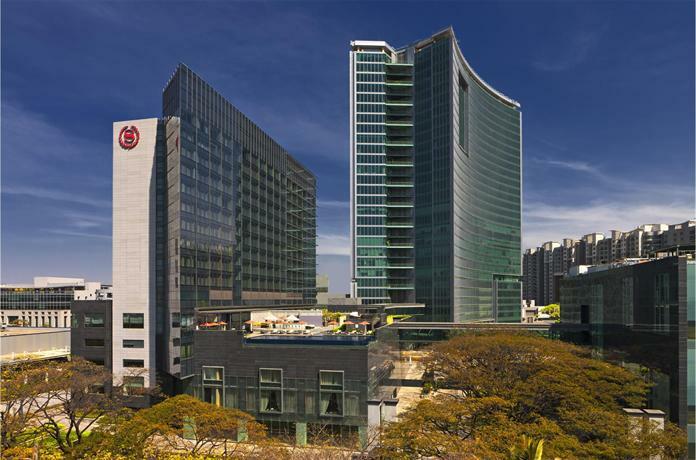 Featuring skywalk access to the Orion Mall and the World Trade Centre, the Sheraton Bangalore at Brigade Gateway is one of the opulent accommodation options in the city of Bangalore. This Sheraton hotel features 6 beverage and food options. It houses a 24-hour fitness center and an infinity-edge swimming pool. The rooms feature contemporary furnishings and are equipped with a DVD player, a minibar and a flat-screen TV. Ensuite bathrooms feature a rain shower. The guests can relax at the Angsana Spa which is renowned for offering numerous treatments. Middle-eastern delicacies are served at the Persian Terrace. Bene is renowned for offering Italian specialties. Indian and International dishes are served at the Feast. An assortment of beverages is served at the Lobby Lounge, the Pool Bar and at the Durbar which is a colonial-style bar. This hotel is located 2.4km from Bangalore Palace. Golf Lovers have a reason to rejoice as the Bangalore Golf Club is located just 4km from the Sheraton Bangalore Hotel. 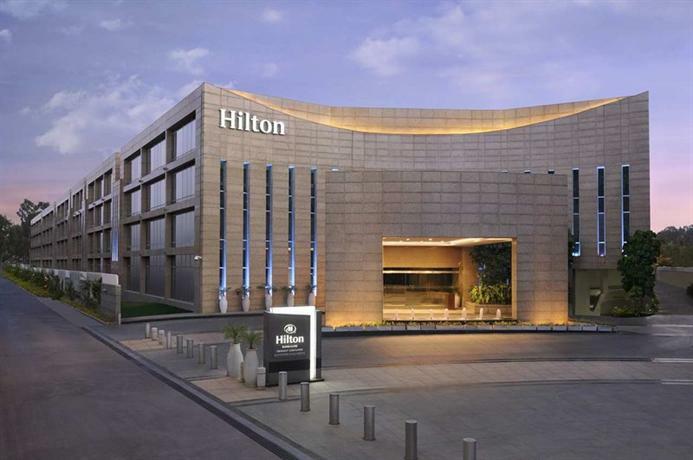 Bengaluru International Airport is located 31km from this opulent hotel. 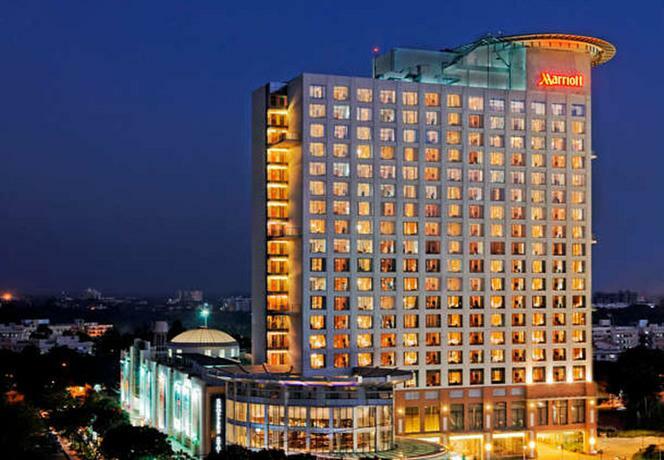 Renowned for its luxurious and modern guestrooms, the Bengaluru Marriott Hotel Whitefield is located next to Inorbit Mall. located 4 km away from the Lalbagh Botanical Garden, this lavish hotel presents numerous options when it comes to dining. The guest rooms feature plush headboards, carpeted flooring, open-concept bathroom with shower and an electric kettle. The guests are welcomed at the 24-hour reception which offers on-site ATM and newspapers. Our services include concierge, currency exchange, and a tour desk. Car rental, dry cleaning, and laundry services are also offered to the guests. Alto Vino serves Italian cuisine. International dishes are served at M Cafe. A variety of mixers and cocktails are served at the M Bar. smoothies, pastries, quiches, pies and bread are offered by the Whitefield Baking Company. This leafy 20-acre property with its 150-year old banyans, gulmohars and the raintrees cuts down the noise from the traffic and offers both luxuries and a serene environment to its guests. It would not be wrong to call this hotel as one of the most verdant hotels of the city of Bangalore. This is one of the oldest hotels in India and is located adjacent to the Bangalore Turf Club and the National Gallery of Modern Art and several boutiques. With red tiled roofs, Gothic arches and monkey-top roofs, this hotel resembles a massive manor house. You can spot flocks of hens, geese, and rabbits running around the tennis courts. Over 30 species of birds including Brahmini kites fly and barbets fly over the pool. The exceptional Jiva Spa features three treatment rooms which are entirely organic. Try the signature Indian therapies that will put all your pains and aches to rest. A fitness center is located adjacent to the spa. The guests can spend their evenings exploring the in-house shops or by browsing the libraries. They can consider exploring the property with a historian or with the resident horticulturist. The basic rooms have private gardens and are well-sized. The ambiance is not edgy contemporary. It exudes more old-world charm. Do not expect Nespresso machines or docking stations within. The rooms do have a minibar and a Wi-Fi. This lavish property is home to three restaurants. The Masala Klub serves authentic Indian food. The signature dishes include vegetarian kebabs, garlic infused Mahi-dish and chicken cubes in a cheese marinade. Blue Ginger serves Vietnamese cuisine in an open Chinese Pavilion. The standouts include grilled prawns, shaken beef, silken tofu, and pho soup. Mynt serves an expansive buffet and unusual juices. 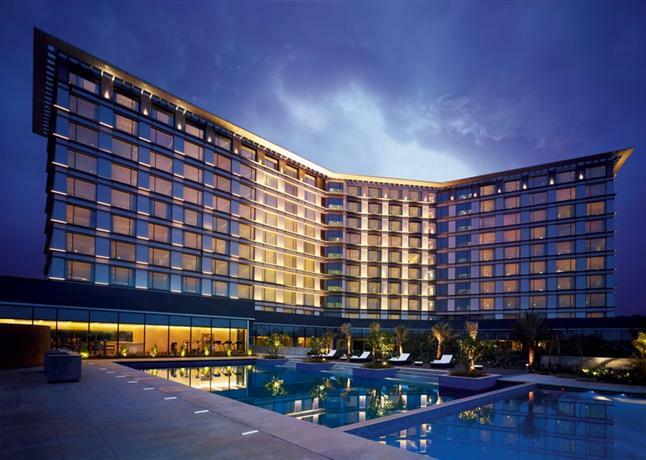 You will change the way you look at business hotels as soon as you step into Vivanta by Taj. The guest rooms make you feel at home at the 199 suites and rooms that it has to offer. The hotel offers a range of beverage and food options in addition to a fitness center. This opulent hotel has been designed to create memorable experiences. The hotel stands at the entrance of the International Tech Park, Bangalore and is located 45 kilometers away from the airport. The eye-catching glass and modern steel structure manage to grab the attention of the onlookers. It offers fitness facilities, spa, and a business center. The rooms are spacious and ergonomically designed. Guests can indulge in beauty treatments at the salon or make use of sauna and steam rooms. Staff can provide laundry services, car rental, and concierge. International, Mediterranean, and fine Indian delicacies are served at the stylish restaurants of this opulent setting. Salads and homemade ice cream are served at Terracotta. Refreshing drinks are served at the 2 lounges. Set within a residential area, ITC Windsor is built around an old rain tree and comes with its own bridge access. The hotel is both well established and secure. 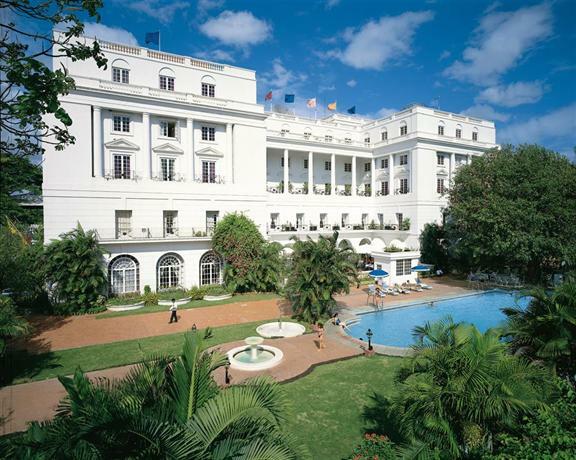 It is one of the original luxury hotels in Bangalore. 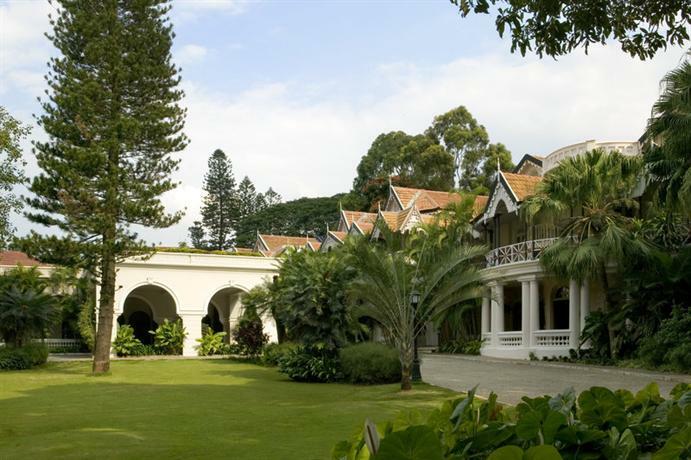 Drawing inspiration from the colonial period, this hotel combines genteel luxury and old-fashioned service. This hotel is located opposite to the Bangalore Golf Club and a five-minute drive from the business district. Built in the Palladian style, this luxury hotel is one of the most eco-friendly hotels in the world. 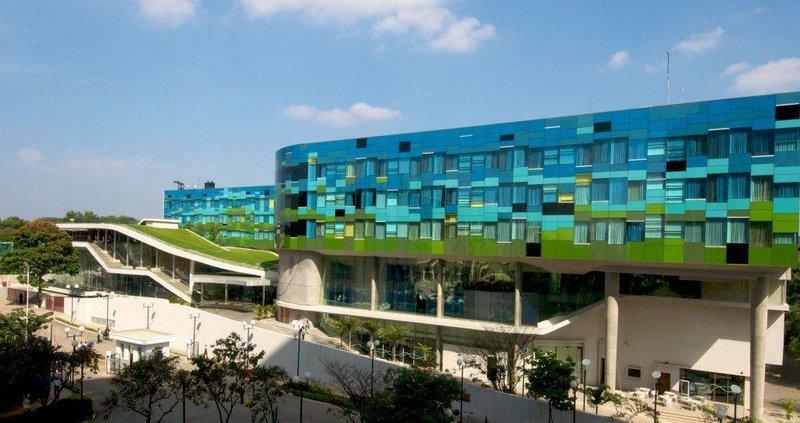 Water is recycled, rubbish compacted and energy is conserved at this smart, ostentatious hotel. The pool is the focal point along with two restaurants facing it. The Kaya Kalp spa offers both Thai and Ayurvedic treatments. A Salon offers pedicure, manicure and hairdressing options. 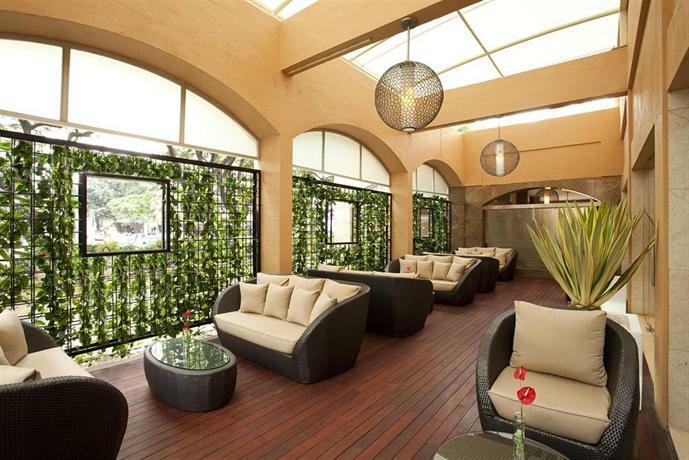 The pleasant outdoor terrace offers a place to relax underneath the rain tree. The guest rooms are decorated in traditional style. The rooms comprise of all the modern amenities. The Eva Floor is for lone female guests with secure entrance and video phone entry. The Manor Wing on the second floor comprises of rooms that lead to a Lancelot garden with seating areas. This hotel has five bars and restaurants. The pool-side restaurant Royal Afghan specializes in northwest frontier cuisine. The Raj Pavilion offers Indian and international cuisine. It serves tofu, miso soup, soy milk and freshly squeezed vegetable juices. Dakshin is an award-winning restaurant that serves South Indian delicacies. This hotel in Central Bangalore with its 397 rooms is a favorite amongst people looking to have a glittering Indian Wedding. This hotel features an outstanding spa, Japanese, Indian, Italian and Chinese restaurants. The rooftop bar offers sprawling city views. 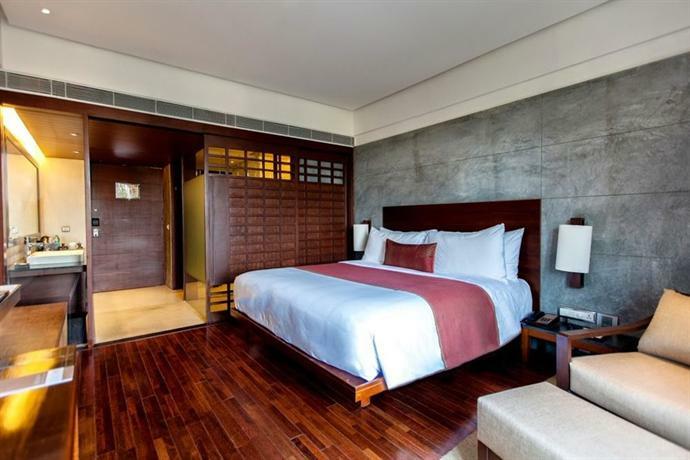 Set on a quiet road near the Bangalore Golf Club and the National Gallery of Modern Art, this hotel is located bit away from prime shopping areas and other business districts. It is located close to the highways that take the guests directly to the airport. The heated pool is located right beside the spa and the fitness center. The guests can enjoy the steam room, the sauna, swim, workout or indulge in a rejuvenating massage while staying at this hotel. Young, sophisticated Bangaloreans prefer spending time at the Hype Bar. The standard rooms are spacious and decorated with odd abstract paintings. The bathrooms feature a marble tub and a shower. The B Cafe offers an all-day dining option. It has show kitchens that serve continental, Indian, Japanese and Chinese cuisines. Mediterranean delicacies are served by Caprese. Indian cuisine is served at Saffron which is famous for its tiny servings of a variety of Indian desserts. This contemporary all suites hotel is located in Koramangala and is located both to the city center and the corporate hub. The hotel combines functionality and style with its personalized butler service. The 87 suites are tech-savvy. The rooms are decorated with warm textures and tones. The rooms are spread out spaciously. The guests are offered complimentary breakfast in addition to classy amenities. You can experience utmost comfort at this lavish hotel with its round-the-clock security, laundry facility, kitchenette, TV and 24-hour room service. This hotel offers free Wi-Fi, an outdoor swimming pool, and 2 dining options. Located 40 km from the international airport, this hotel is the perfect place to indulge in body treatments. There is a gym for those looking for a perfect workout. Tangerine Restaurant is ideal for all-day dining and it serves international and local delicacies. Light snacks and international cocktails are served at The Gallop Bar. This hotel has been designed in a manner to exemplify the true spirit of the city. Located right in the heart of the city, this hotel is a perfect spot for those planning to lay back and enjoy the culture of the city. The rooms are spacious and one of the best offered in the city. Located centrally, the hotel features a fitness center, an outdoor pool, and a spa. The rooms are equipped with tea/coffee making facilities and a minibar. All rooms come with a safety deposit box and a flat-screen cable. Rooms with city or pool views are also available. Guests can request for airport transfer or secretarial services. This hotel houses a tour desk and a bookshop. Delicacies from Kashmir, Awadh, and Lucknow are served at the GAD restaurant. The Karavalli Restaurant serves traditional homestyle recipes. This luxurious 5-star hotel features large outdoor pool, a fitness center, and a day spa. Modern rooms boast of modern amenities. Located 15 km from the city center, this hotel features tastefully furnished rooms. The floral motifs and the neutral shade decor makes the room feel tranquil. The rooms feature a private bathroom with a shower. They are equipped with a coffee/tea maker as well. The Jiva Spa lets the guests indulge in relaxing massages. The guests are also offered travel services and a concierge desk. Palette serves hearty buffet. Azure serves Greek and Italian delicacies. The hotel houses an Indian restaurant and a tapas bar. Located on the Outer Ring Road, this luxurious hotel offers a 24-hour gym, an outdoor pool, and a spa. The modern rooms are fitted with a flat-screen TV. The guests can enjoy 24-hour room service. Free Wi-Fi is offered to the guests throughout the property. The rooms are equipped with a minibar, an electric kettle, ironing facilities and are decorated in neutral cars.This hotel is located 10.6km from the heart of the city and 48km away from the international airport. The Pool Bar & Grill serves delicious barbecues on an outdoor terrace. The Square is an all-day restaurant and features an international menu. French pastries and Chai-tinis are served at the Chez Nous French Cafe & Bar. Daily newspaper and currency exchange are offered at the front desk. Dry cleaning and laundry services are also offered for the convenience of the guests. Located within the Embassy Golf Links Business Park, this luxurious hotel is an ideal option for business travelers. This hotel offers a fitness center and a temperature controlled outdoor swimming pool. The rooms are equipped with a seating area, air conditioning, and a 40-inch flat screen TV. Complete with an induction plate and a microwave, the dining area also features an electric kettle and a refrigerator. The private bathrooms feature a shower. Some rooms offer golf course and pool views. 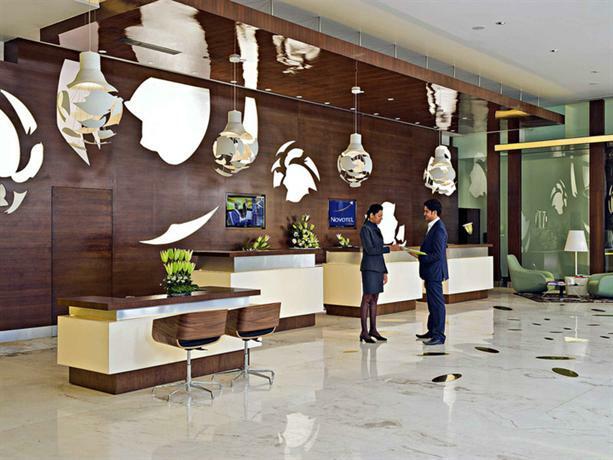 Express check-in and check-out services can be opted from a 24-hour front desk. Laundry services, ironing, 24-hour business center and a tour desk is also offered to the guests. Indian delicacies, pan-Asian and Mediterranean delicacies are served at the All Day Dining Restaurant. KLINX is a lobby bar and serves non-alcoholic and alcoholic beverages. Poolside Bar & Grill is the place to be in for a selection of cocktails and mocktails. This property is located 43km away from the International Airport. Located in the business district adjacent to major organizations such as Accenture, ITPB, and GE, the Holiday Inn & Suites Bengaluru features an infinity pool and a fitness center. The rooms are luxurious and feature elegant dark wood furnishings and modern decor. The guests can indulge in aromatherapy baths and relaxing massages at the spa. The hotel offers free parking and car rental services. Sightseeing and travel arrangements can be made at the tour desk. The restaurant serves international and India delicacies. The poolside bar offers refreshing beverages and light snacks. This hotel is located 56 km away from the International Airport. The Forum Value Mall and the Sigma Technology Park are located in the vicinity. This luxe hotel is a great choice for business travelers.